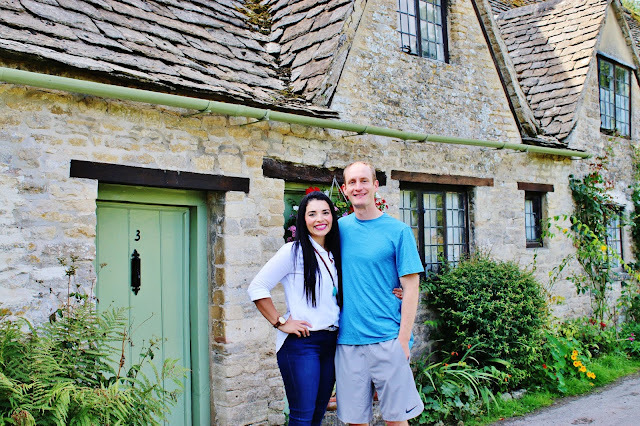 Our Trip to England felt like a dream! Kyle had to be in England for business for a few days, so we decided to make a week-long adventure out of it. My sweet mom was nice enough to fly out to be with our girls as Kyle and I went gallivanting through the UK. On our trip, we saw the most beautiful villages and countrysides Britain has to offer, rendezvoused with one of our best friends, and visited all the must-see tourist spots in London. It was a trip Kyle and I will always remember. Our first night together, we stayed at The Swan in the tranquil village of Bibury. This was a charming little inn located in the heart of the Cotswolds, right on the river Coln. 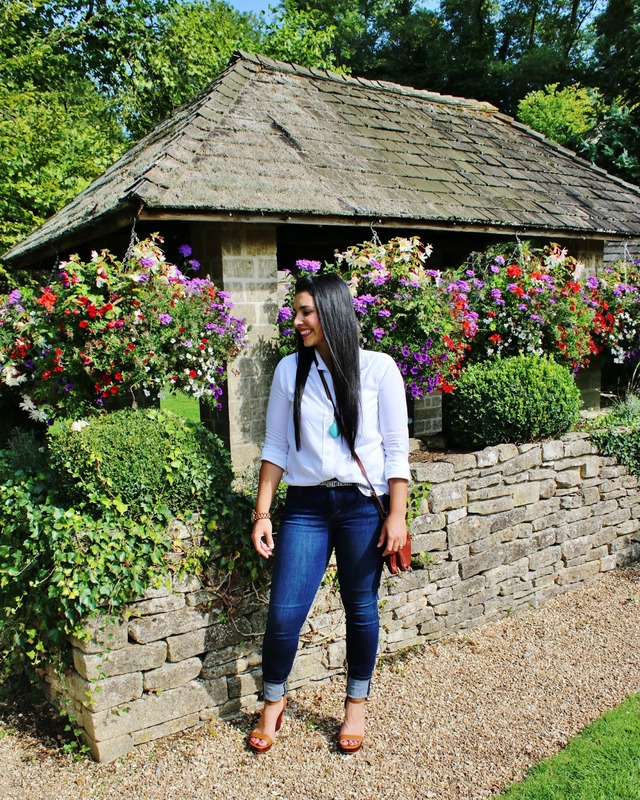 It was just what we expected: relaxing, cozy, romantic, unique, quintessential English, and equipped with impeccable food and service! Although our rooms were filled with luxury, my favorite part of The Swan hotel was their beautiful grounds. Cotswolds is truly a place to go when you want to enjoy the beauty of nature & experience the simple pleasures of the English countryside. Designated as an Area of Outstanding Natural Beauty, Cotswolds offers truly picturesque countryside, from rolling hills, bustling market towns and wildlife parks to peaceful stunning towns and villages. If you enjoy walking, there are endless walking routes in Cotswolds, you will definitely have fun. 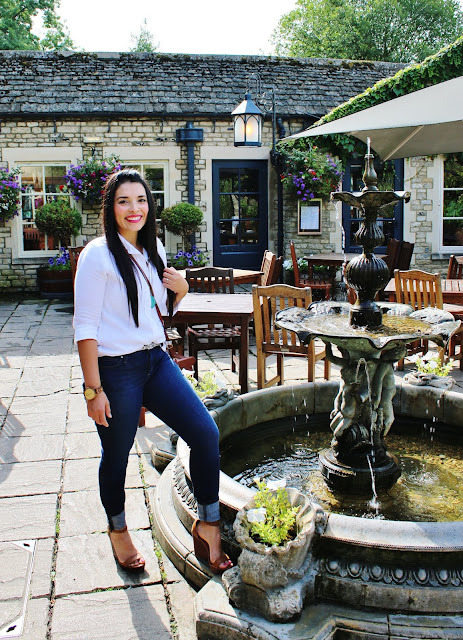 Some of our favorite places in the Cotswolds were Arlington Row in Bibury, the Upper and Lower Slaughters, Tetbury and Bourton-on-the-Water. 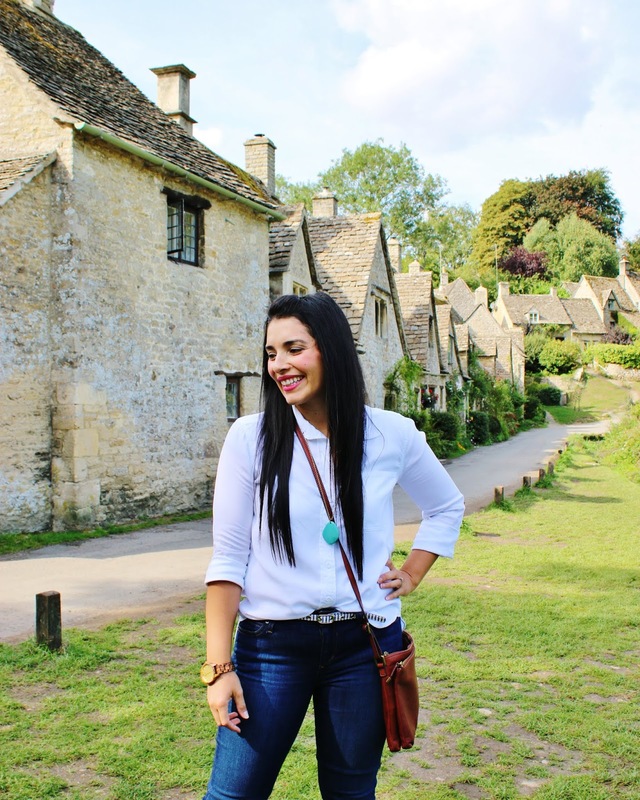 If you've visited England or the Cotswolds, what was your favorite place?